As a teacher I love incorporating subjects together. It just makes learning even more authentic for students. It's rare, however, when I'm able to incorporate math with reading. Cindy Neuschwander, manages to do it with all of her Sir Cumference books. My students always have so much fun with her books in our math classes, that I created a free lesson to go with one of her stories. 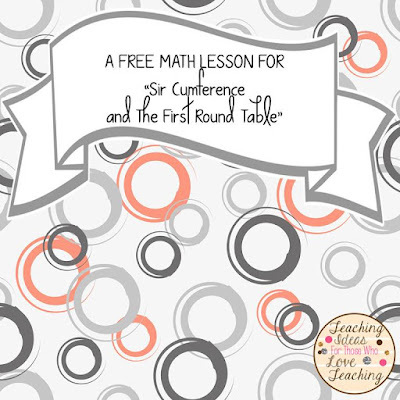 This free math lesson for "Sir Cumference and The First Round Table" is a perfect accompaniment to the book. 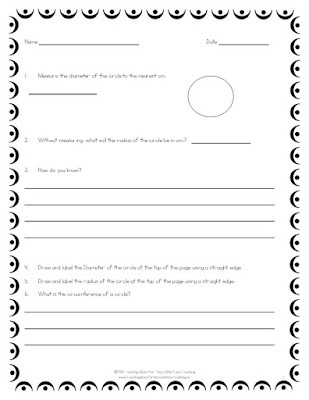 These worksheets are perfect, once you and your students have read and discussed the book. 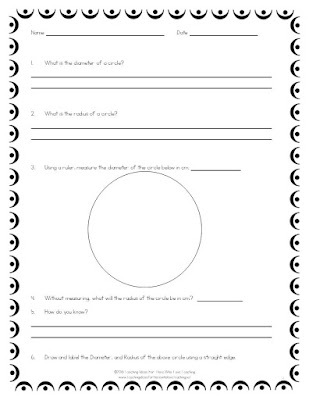 The book teaches creative ways for students to understand diameter, radius, circumference and Pi. Here are some pictures of pages from the lesson.